Plan a convention or meeting in Lexington, KY.
Locals: are you a member of a club or association that holds regional or national meetings? Do you serve on a board? Does your company hold annual meetings? 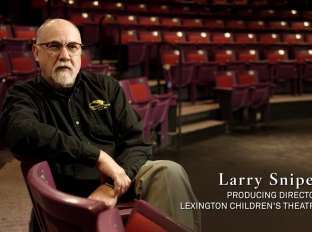 Whether it&apos;s 50 people or 5,000, VisitLEX stands ready to help you bring your meeting home. If the job of bringing your organization&apos;s meeting to Lexington seems overwhelming, don&apos;t despair, we&apos;re here to help, and to save you time! As a citizen of the Horse Capital of the World, you know better than anyone how special this area is. Just imagine how impressed your attendees will be with our breath-taking Kentucky countryside, magnificent horse farms, vibrant restaurant scene, nearby historic Bourbon distilleries, and our charming, walkable downtown. 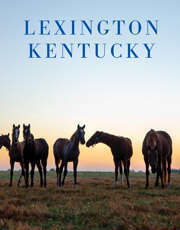 Recommend Lexington and become a Hometown Host. You&apos;ll feel great knowing you&apos;ve had a positive influence on the economy of our area. Tourism is a major economic driver and ranks as Kentucky&apos;s second leading private employer. Last year, people staying in Lexington hotels spent more than ninety-seven million dollars eating out in local restaurants. Add the money spent shopping, seeing local attractions, buying local gas and staying in local hotels, and you&apos;ll see that your meeting could have a significant impact. To find out what it takes to host your meeting or special event in Lexington, please call us at (859) 233-1221, or (800) 848-1224. Click here to see our RecommendLEX brochure in PDF file format.